Eats Good to be in Cagayan de Oro: Why do we all need a BARON SOLAR KIT? Im an immigrant here in Cagayan de Oro. While I'm still courting my wife, that was more than five years ago, she shares to me that they are experiencing massive rotational brownouts every summer. I only believed her story when I visited her during Aprils of each year. Damn! Its really massive: Mindanao wide; 4 to 12 hours per day for the months of March, April and May. You see, Mindanao Island's power plants uses renewable energy (about 60-80%): Agus, Sibulan, Pulangui and Talomo Hydro Electric; Mindanao Geothermal Field; and Cagayan de Oro Photovoltaic are just to name a few. So when summer comes, rivers will dry up thus it will not supply much needed water pressure to said hydro plants. As a result, 4 to 12 hours of rotational brownout per day for 3 summer months. Rural areas is much worst. Industries and businesses like hotels, restos, pharmacies fire up their own (diesel/gas) generators to make their business going. Of course, no client will stay on a hot unventilated hotel room without lights. Candle lit dinners are romantic but its not romantic on a candle lit dinner on a brownout. You can't even see your food nor your date. To make much worst, pollution from these generators fumes up the streets. One solution of homes and businesses here is to use solar kits. Homes use basic solar kits that can power CFL or LED bulbs and charge a cellphone. Thats why we need Baron Solar Kit(s). To power up a study lamp, a laptop during nights of work or study. To charge up our gadgets like laptops, tablets and phones. To light up dark areas in our home or room. To light up bulbs outdoors like garden, garage/carport at night. To power rural or remote areas like mountain and seas. Farmers will now have lights on their sheds and fishermen will not attract fishes to their boats. The most important of all, we will not use fire hazard candles or kerosene lanterns saving our and our neighbors' lives and properties. 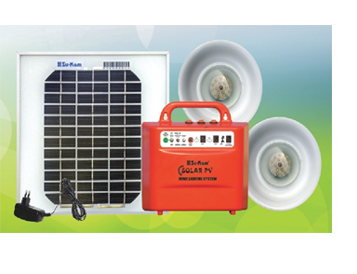 To make the story short, we all need Baron Solar Kits not just for emergency purposes but also to save lives, property and of course power consumption. It can lessen the pollution too since it will lessen the use of generators.